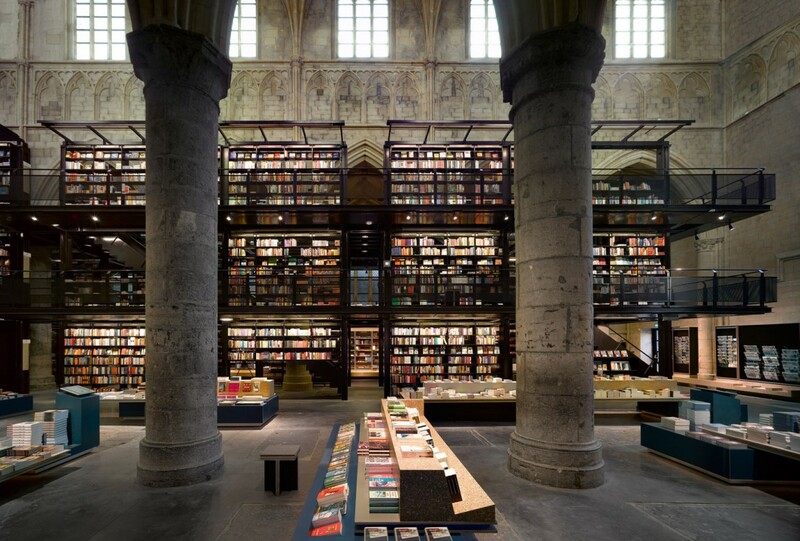 Books, architecture, and delicious adaptive reuse. 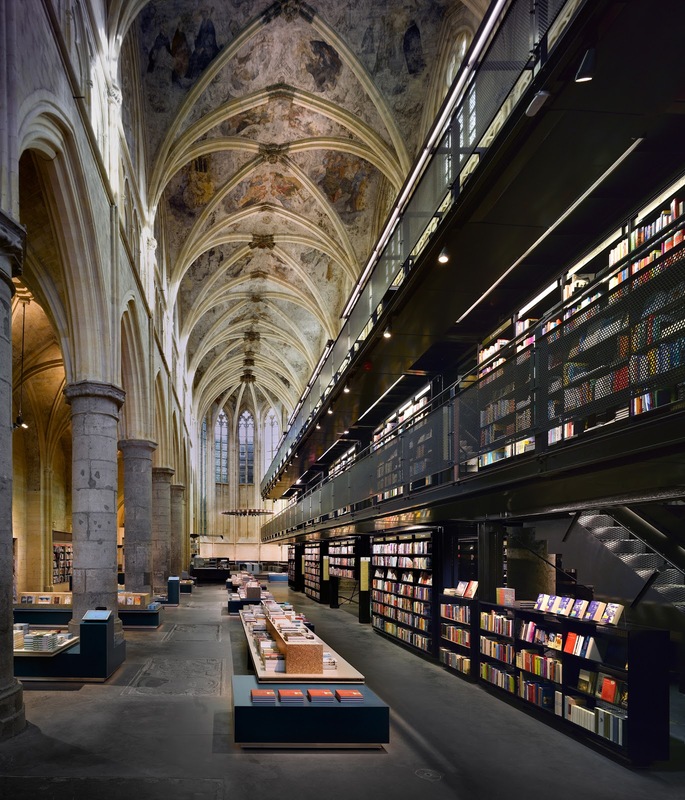 An ancient church + insertion + lighting = one glorious space, and one of the most impressive bookstores on the planet. 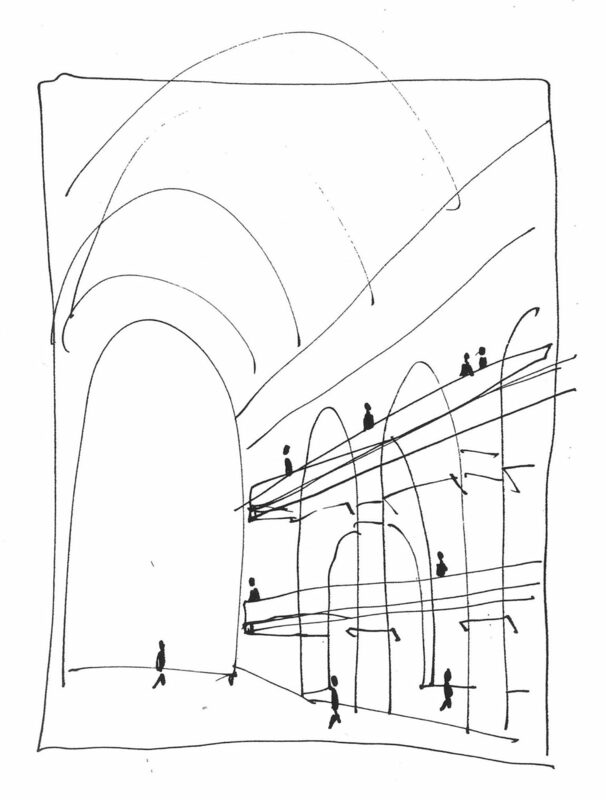 I really love the clarity of concept (shown in the sketch above) and the simplicity of the basic design: a stark multistory bookcase that hugs one side of the old church’s nave. 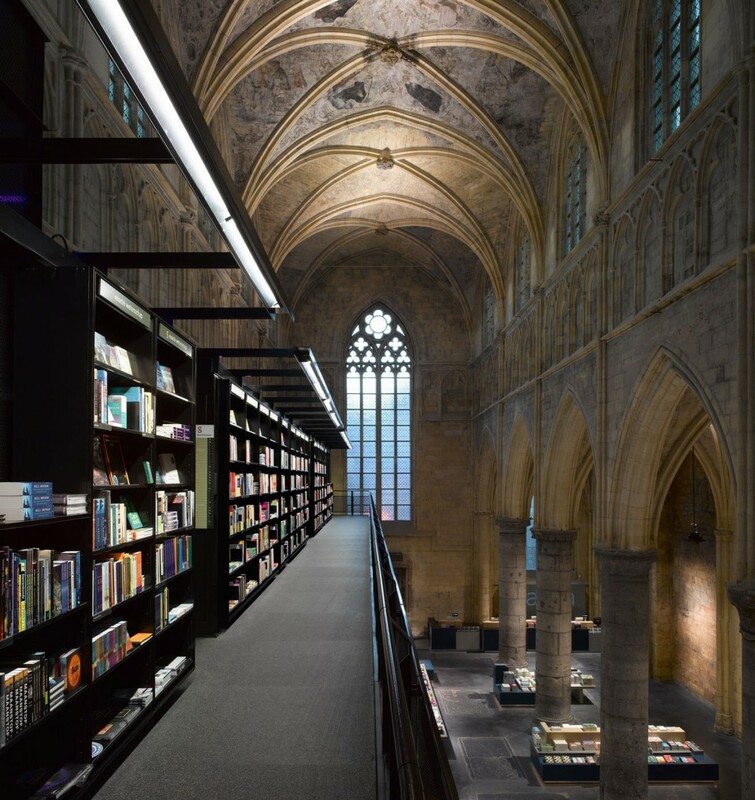 The black steel contrasts with the white of the stone pillars and arches, while the colourful books mirrors and joins hands with the fading frescoes on the ceiling. It calls itself out, never trying to fake its way into being an original part of the church, yet it’s rhythms and proportions work harmoniously with elder. And best of all, the placement of the bookshelf does nothing to diminish the grandeur of the space, or of the amazing windows. 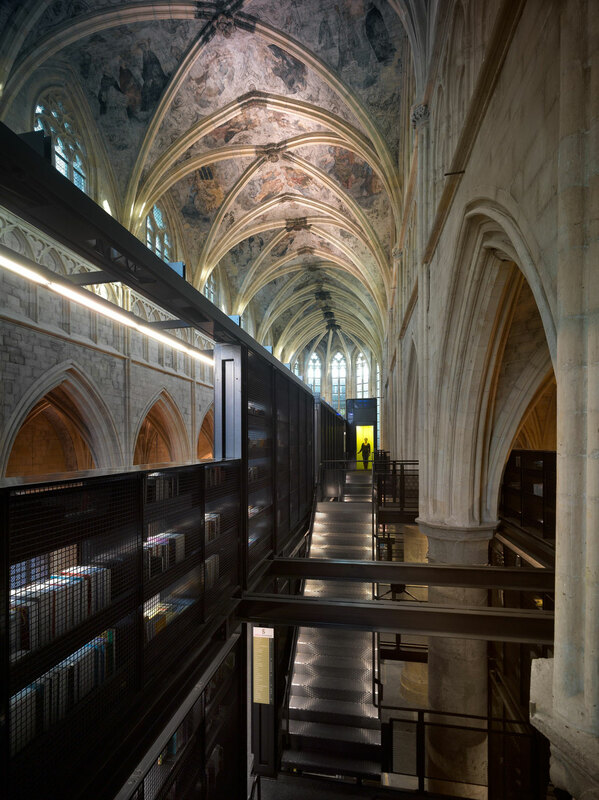 Quite the contrary – by occupying but a part of the nave it heightens (pun semi-intended) the existing space. 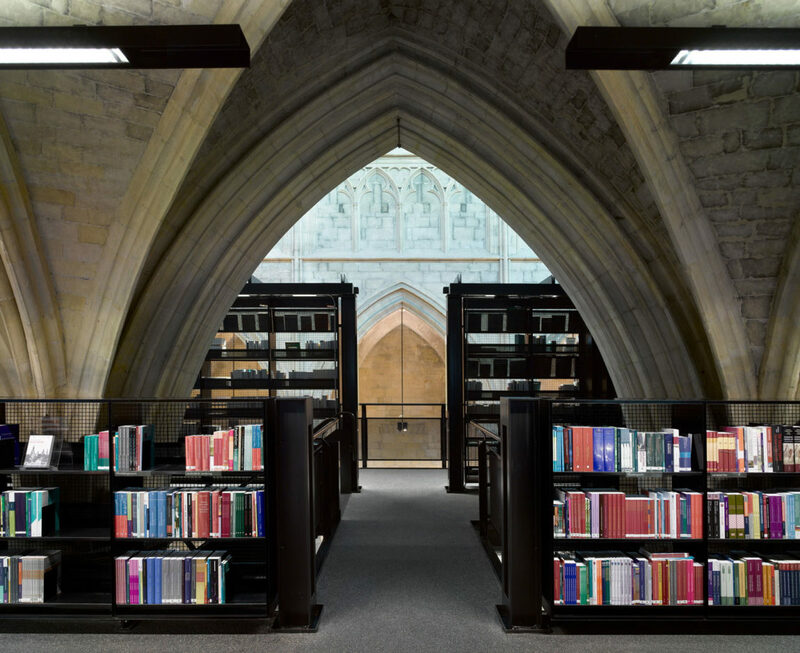 And then, when you get up in the bookcase, and find yourself nestled up close and personal with vaults, arches, and those frescoes, the perspective shifts are wonderful indeed. 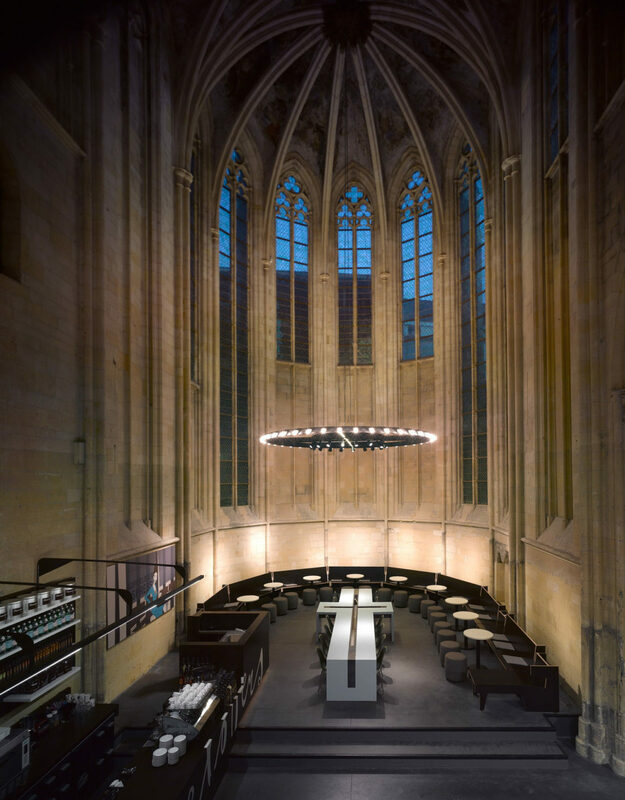 Also really liking the design for the apse, with a robust chandelier that creates an interplay of low, intimate space inside of the taller exuberance, and the built-in furniture that feels both at once monastic as well as contemporary. This was a church that had been deconsecrated in the late 1700s and had languished in use and purpose, and it fills me with excitement to see it get this second lease on life. And doubly so for such a great space.